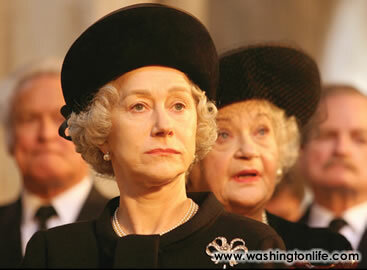 The trouble with the movie The Queen is Helen Mirren's performance. Her portrayal of Queen Elizabeth II is so uncannily accurate that, by extension, it wraps the film in an authenticity it doesn't entirely deserve. There is no question that the British royal family needed prodding big time to react to Diana's fatal car crash in Paris; for a while, the Windsors were paralyzed like deer caught in a car's headlights. Nor is there any doubt that Tony Blair showed courage, for a newcomer, in all but manhandling the queen in the direction of a more compassionate family response. But steering the monarch in what they consider to be the right direction is what British prime ministers are supposed to do: it goes with the territory. Also, anyone who knows the story is well aware that the queen privately consulted a wide variety of people before concluding that her first instinct was wrong and her new prime minister's was right. Director Stephen Frears's film is correct in its premise that Diana's tragic death stirred a vast groundswell of public grief the likes of which had never before been seen in the British Isles, and that furthermore the queen and her family at first completely misread the public mood. The filmmaker's anti-monarchist message is in the fictional embellishments. Queen Elizabeth's sadness at the death of a stag, which presumably is supposed to be a metaphor for the princess's death (Diana herself is hunted by predatory photographers, and ultimately killed), is clever but sheer fantasy. Unlike in the film, Earl Spencer received no applause in Westminster Abbey for his tribute to his sister; only an awkward, shocked silence that he should of chosen such an occasion to deliver a flinty, angry denunciation of the press, the royal family, and the circumstances that had conspired against the "unique, complex, extraordinary, and irreplaceable Diana." But the film needs him as a hero to play against the stuffiness of the royals, a role in which he is from all accounts miscast. Left out of the movie, for example, was Spencer's aggressive vow from the pulpit that what he called "the blood family" (the Spencers) would assume responsibility for Diana's two sons, William and Harry. He made no mention of the boys' father, Prince Charles, sitting a few feet away. The family, Spencer said, would see that William and Harry "are not simply immersed by duty and tradition but can sing as (Diana) openly planned." To hear those words from him on the screen a decade later would have been to realize that there is no evidence of an indefatigable Spencer effort to be a decisive influence in the life of the two princes (he says he exchanges e-mails with them). In the closing sequence, the queen, having earned our admiration by rising to the occasion, turns waspish in her meeting with Blair. No drop of royal gratitude is allowed to trickle from her cold demeanor. So the irony is that while Helen Mirren has clearly fallen in love with the character, the rest of us are not allowed to do the same. The royals are stuffy, out of touch, and ungrateful into the bargain. But even as the queen leads her tenth prime minister into the garden of Buckingham Palace, Diana's presence is already fading. Oddly enough, in the end, the film is a reminder that there is no Diana-shaped hole in British public life. The Windsors have not faded into obscurity without her movie star glamour. Contrary to Elton John's song at her funeral, Britain is not "a nation lost" without her soul. Partly, the princess's memory was posthumously tarnished by lovers coming out of the woodwork, by the clumsy management of the foundation set up in her name, "The Diana, Princess of Wales Trust", and the tackiness of her brother's memorial/museum to her at the family home, Althrop. The trust was established (following instructions in her will) to give financial and other support to Diana's main causes, including help for HIV-AIDS victims, the anti-landmine campaign, and needy children, but was forced to shut down its operations for nearly two years because it had poured millions into an ill-judged lawsuit against the Franklin Mint, an American company that was marketing Barbie-like Princess Di dolls. In life, Princess Diana was one of the world's most famous people; in death, she lies in an unmarked grave. Earl Spencer claims that Diana was buried on an island in the middle of an ornamental lake on the family estate and not stone marks the exact location, a protection, he says, against anyone seeking to exhume her body! Never mind that people in the local village claim that in reality the princess is buried with the other Spencers in the family vault in the parish church. In London, after a long controversy, a circular trough-like fountain was constructed in Hyde Park in Diana's memory. But wading in the water—the very purpose of the design—had to be barred because children kept slipping and suffering injury. There are also the stories of Diana's own desperate insecurity and paranoia that were even mentioned in the recent Lord Stevens report on her death. In one episode she had confided to her disbelieving lawyer that she would be killed in a car accident. According to the Stevens report, the lawyer, Lord Mischon de Reya, had recorded in his diary that the princess had told him "that reliable sources, which she did not name, had informed her that by April 1, 1996, whether in an accident in her car such as a prearranged brake failure or by other means, efforts would be made, if not to get rid of her then at least to see that she was so injured as to be declared unbalanced." Her ambivalent love-hate relationship with the media was legendary. 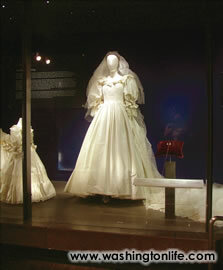 Earlier this year, an executive from Dukes Hotel in London revealed to a couple of Washington journalists that on the day that her divorce from Prince Charles was announced, Princess Diana went to Dukes to visit Lucia Flecha da Lima, her close friend since the days when the latter's husband had been Brazilian ambassador to Britain. A swarm of photographers and reporters besieged the main door, and a large crowd had also gathered. "I offered to arrange for her to leave by the rear entrance where there were no photographers, but she said no, 'They've come to see me and I don't want to disappoint them,'" the hotel owner recalled. When Princess Diana appeared at the front door, she feigned surprise and annoyance at the crowd of photographers, as though she had not been warned that they were there. She stalked to her car protesting, "Oh, leave me alone!" Whether Blair "saved" the monarchy or merely bought it more time is an intriguing question. At 80, Queen Elizabeth II enjoys enormous public respect, not to say affection. The British monarchy is still criticized as marching boldly into the 19th century, but the most recent Buckingham Palace polls show that only 19 percent of the people want a republic, up a mere 1 percent in over 30 years. It's the succession that makes some people nervous, centered on doubts whether Prince Charles - who in many ways is considered more conservative than his mother - can maintain that stable course. What if, some people ask, Charles (now 58) were to step aside in favor of Prince William? Wouldn't that breathe new life into the monarchy and make it mean something to the younger generation? That option - improbable as it may be - is likely to gain strength if William follows the conventional wisdom and marries pretty Katherine (Kate) Middleton, his girlfriend since college. Comparisons with Princess Diana are inevitable, but the differences are probably greater than the similarities. Diana's marriage to Charles was arranged, the idea having been hatched, no doubt over gin and tonics, by Queen Elizabeth, the Queen Mother, and her great friend Ruth, Lady Fermoy, Diana's maternal grandmother. Diana was a shy, 19-year-old who had led a sheltered life. Charles was 32, and it was an open secret in royal circles that the heir to the throne was in love with someone else, namely Camilla Parker Bowles. Prince William and Kate Middleton are contemporaries (she's 25 this month, William is 24) who met at St Andrews University and later shared a house with two other students. Diana may not have been "royal" but she belonged to one of the oldest aristocratic families in England, older than the Windsors. Kate's background is well-to-do middle class, with her father a successful businessman and her mother a former flight attendant who has an on-line business selling children's party supplies. Like Diana, William's girlfriend shows promise as a fashion plate, and a recent Washington Post report said she "wore smart clothes that seem unwilling to wrinkle." So far, however, as the photo-bounty on her head soars to $50,000 for an exclusive bikini shot, she has withstood the paparazzi onslaught with a clear eye and determined chin. But, if the marriage rumors are true, for her the battle is just beginning. Lastly, a footnote on the film. Frears makes a cinematic reference to the Flecha da Limas in a scene in which Robin Janvrin, the queen's secretary, places before Elizabeth for her signature a "letter of condolence to the widow of the Brazilian ambassador." What, one wonders, is the story behind that?